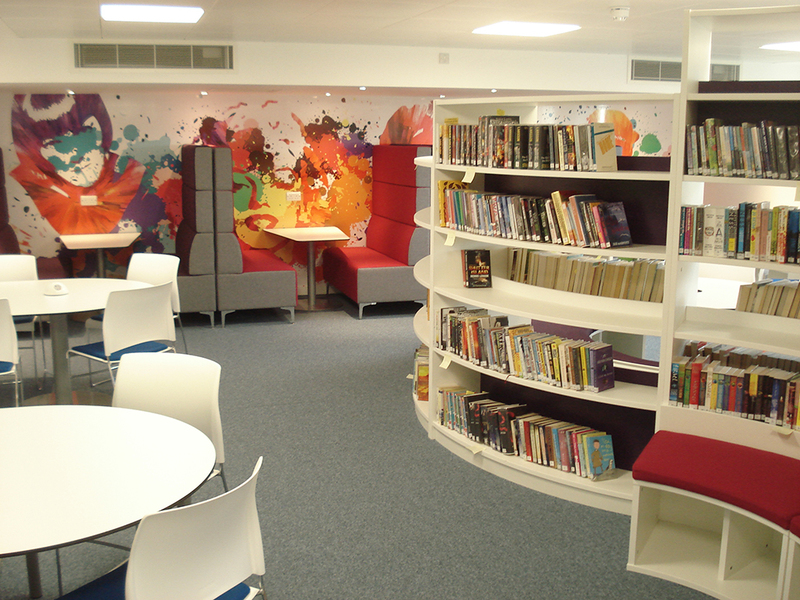 zioxi worked with Piper’s Corner School in Great Kingshill to design a fabulous new library space for all of the students. 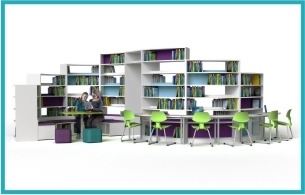 The library provides a brand new and exciting learning space for the whole school community. 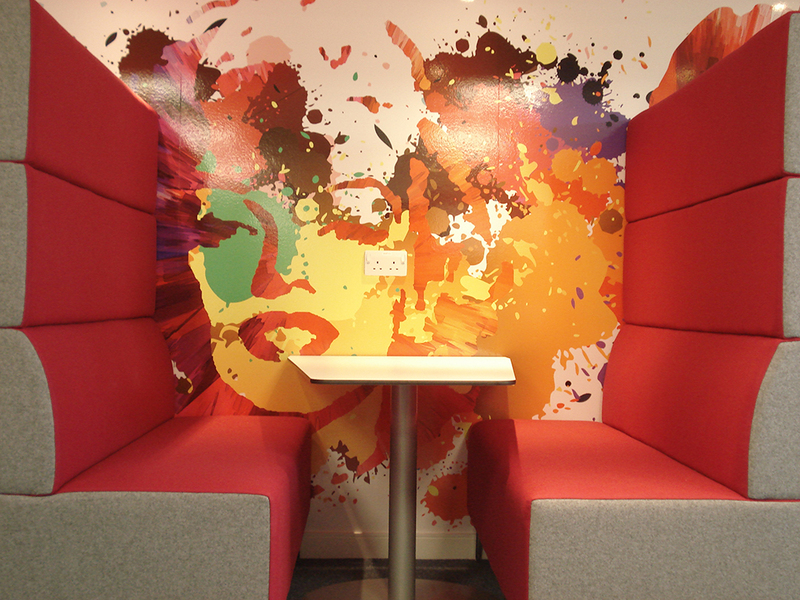 zioxi developed a furniture proposal which involved removing many of the dividing walls and opening up the entire space. 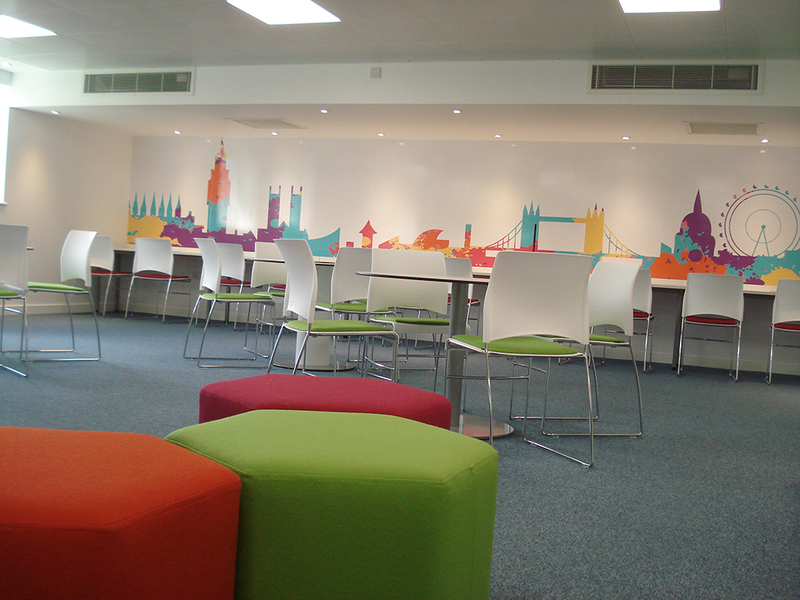 The brief for the space was that it needed to have a look and feel that was completely different to any other space in the school. 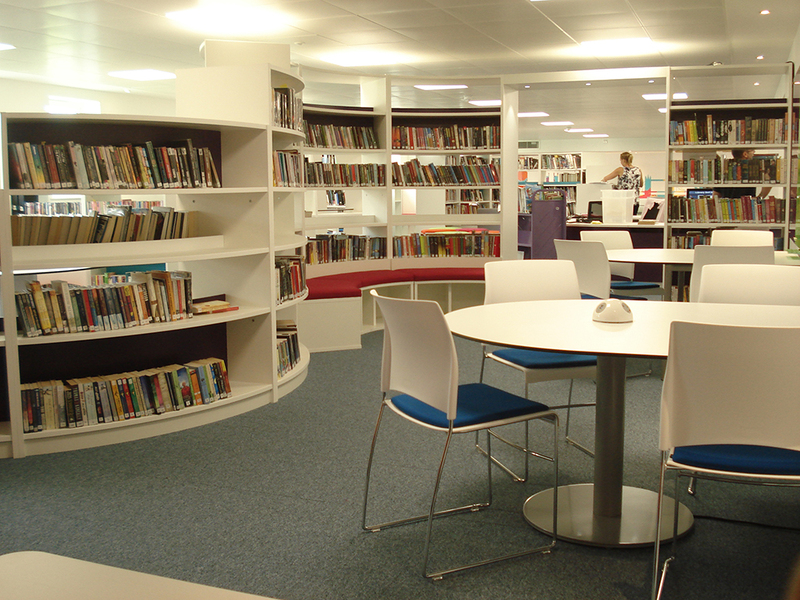 They wanted to make the library particularly appealing to the year 10-13 students who did not visit their current library of their own accord. 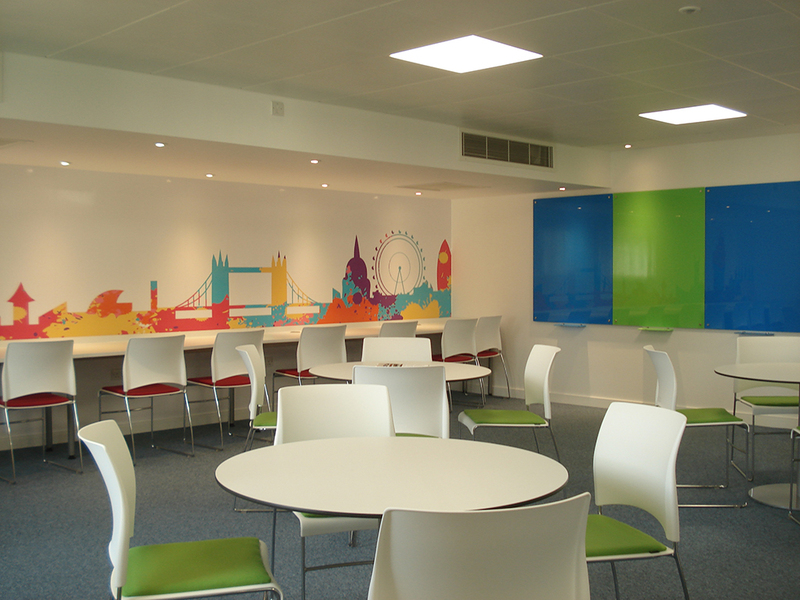 Along with providing storage space for a range of fiction and non-fiction books, individual work stations and collaborative areas, the school wanted to have a dedicated classroom space that could be used for formal teaching and could be easily cleared to be used as a venue for other events. 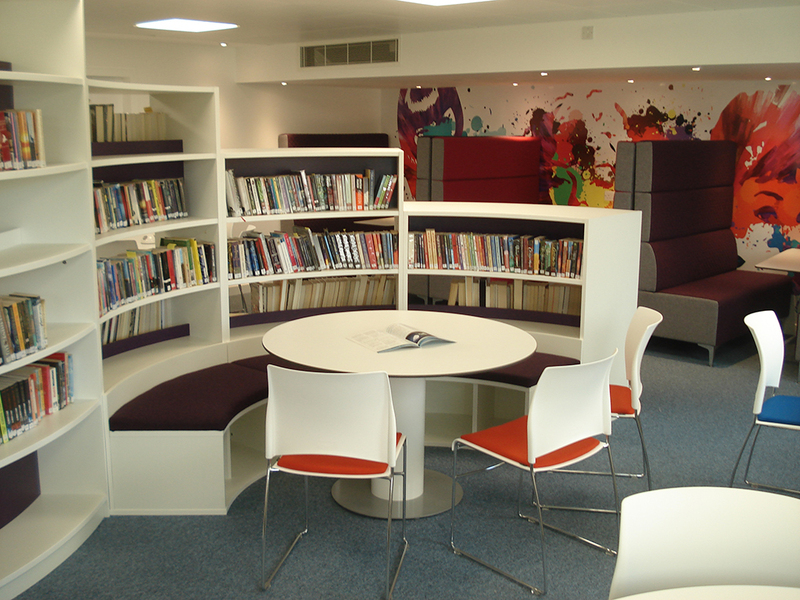 zioxi furniture included using the BookWorm® and BookHive®, which provided lots of storage for books, whilst integrated charging cubes within the CubeWall® provided a safe and secure place to store and charge tablet devices. The colour scheme was bright, bold and inspiring. Huge wall graphics at each end of the library brought a sense of fun to the space and featured influential female figures from throughout history.